July 26: 5 POWER Lessons From 5 Leaders Who Made History On This DAY! Trend-setting and established achievers follow their own set of life-changing formulae. They walk along the secret path that essentially and directly takes them to success. Do you want to become an achiever? Do you also want to know the secrets and formulae to succeed? Then what is the wait for? Go through this write up. Not everybody can accept the world in the way how it is. All of us have something that bothers us but remember one thing; the one who thinks in terms of bringing about the change is the one who is considered to be the difference-maker, without complaining and grieving about what the world is all about. It is easy to complain and continue with the affairs and practices which the world deals with. Nothing matters and nothing changes as long as you don’t make up your mind. Thinking to bring about a change is what makes you different among the rest in the society. Anybody can move on living the same kind of life with respect to the world and its way. But, it is a small initiative of yours and your ability to establish a change that lights the world with a positive change. Rajanikanta Sen turned out to become a different person because he contributed his part in changing the bad and welcoming the good. 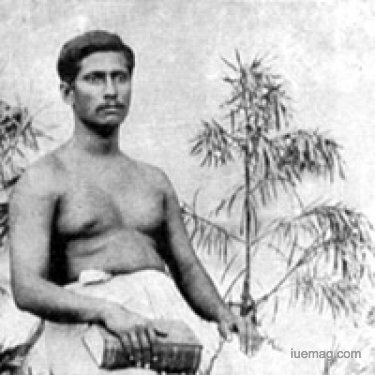 The Bengali poet and composer was known for his devotional compositions, as well as his patriotic songs. Being born in a village, he started by publishing a collection of 400 Vaishnava brajabuli poems. Rajanikanta faced increasing poverty throughout his life; rather than complaining and grieving about it, he focused on making things better by invoking positive change into his life. Success is for anybody who is ready to work hard and stay dedicated in order to excel at whatever is done in life. Nature doesn’t pick the persons with great looks or those who are rich, educated or extra-ordinarily sophisticated when it comes to gifting success. Success is controlled by none; it automatically reaches those who do their part to the fullest with dedication and perseverance. Every student in the class is thought and given equal importance. The teacher teaches every student equally and molds all of them in the similar way. But only one among them stands out to become the topper of the class. The title of a topper goes to the one who has studied hard day in and day out but not to those who are beautiful or wealthy. Only those who trust their deeds and those who work hard without expectations are sure to grow and win irrespective of anything and everything. Edwin Albert Link succeeded only because he worked hard, devoted himself to what he was supposed to do and showed utmost dedication. Pioneering the aviation, underwater archaeology, and submersibles, he is famed for inventing the flight simulator. 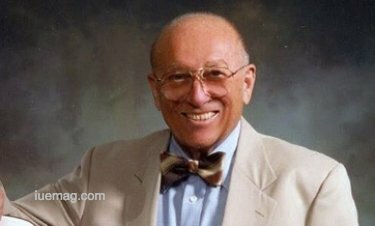 Obtaining more than 27 patents for aeronautics, navigation and oceanographic equipment, he took his first flying lesson and developed the Link Trainer. His perseverance was what decided his success. Never trust anything as long as you literally verify it yourself. Not always can you trust your own eyes, ears and other senses. Remember that nothing in world can be accepted, authorized and authenticated until and unless you validate it precisely. Never believe anything to be right until you see it being right. Trusting blindly is as dangerous as walking along the edge of the mountain without any heavy suspended support. You shall ultimately realize that your way of leading life eventually takes you towards perfection. Quality of work increases and you shall progress up the ladder of success. Living a quality life is like diving deep into the ocean of reality. Don’t you think it is essentially necessary to check your oxygen cylinder, tighten your goggles and validate all the aids and materials which you are using for the dive? Would you ever risk your life by blindly believing all your aids shall safeguard you? Certainly not! Daniel Judson Callaghan believed only after checking twice. 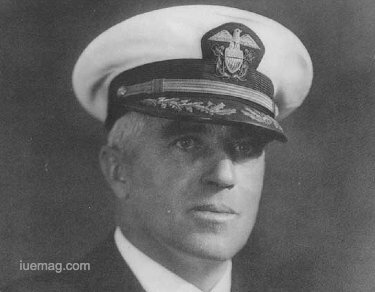 The officer at the United States Navy was a recipient of Medal of Honor posthumously for his actions during the Naval Battle of Guadalcanal. In a career spanning just over 30 years, he served his country in two wars. He served on several ships as well. He ensured perfection and verified before validating any decision which he is supposed to make. Developing a reputation and upgrading the quality of his work, he excelled at everything he did. No matter how well your day goes, at some point of time you feel exhausted living and you would think of giving up in life. Despite taking all the care and measures, despite thinking really big and in spite of abiding by some of the major decisions which you’ve taken, we still feel not everything is right. It is all because you got to hold yourself responsible for everything that happens in your life. When you participate in a race, first very first step you take after registering your name is to find a coach and practice constantly. Irrespective of winning or losing, ultimately you are going to be considered the reason for whatever that happens. Consequences and impact never judge what your coach did but they only point to how you performed. You got to guide, guard and measure every act of yours. Tim Birkin took care of his self and noted his progress at every instant in his life. He believed that he would be the reason for everything that happened in his life and he acted accordingly. 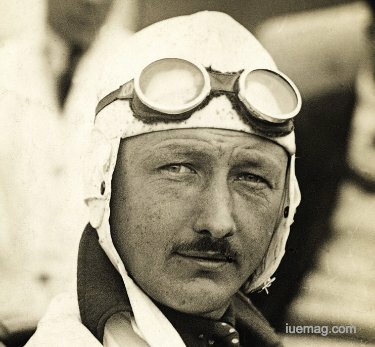 The British racing driver joined the Royal Flying Corps during World War I and gained the rank of Lieutenant in his service. He did his part and after fulfilling the purpose to which he was assigned. Competing and winning over the inferiors, he stood out among all. He acted according to his decision of motor racing. You were born single and you are going to die alone. Stay independent throughout your life. Showing concern towards people is important but alongside, you also got to remember that if you have started your journey towards success with other set of lives, not all of them are going to stay with you till the end. You are the one who is going to complete your journey and reach your destination. Acquiring success all alone may not be easy but that’s how it is friends. You got to walk, work and win single handedly and independently. Parents are always there to guard, guide, and nurture and pamper their young ones. The kid always holds the hands of his/her parents and leaves them only after the kid enters the school compound. Irrespective of all the support, assistance, care and love, the kid has to face the world and live his/her life all alone. 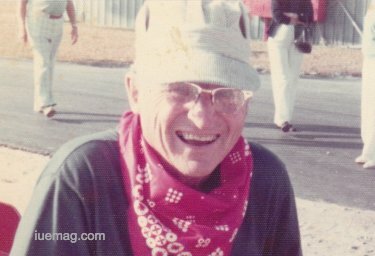 Joseph Engelberger never forgot that it was totally his responsibility to reach his destination at the end of his journey. Knowing that it was only he who had to accompany himself to win, he invoked all the courage to walk alone and reach where he wanted to. He worked as entrepreneur and vocal advocate of robotic technology beyond the manufacturing plant in a variety of fields and more. Not everybody was supportive during his success walk; yet, the father of robotics managed to live eternally through his contributions. Conclusion: Live your life by loving your life. You shall show extra care, concern and dedication to take your life forward. Come up with ideas and ensure you implement your skills to achieve these ideas. Building your life is your responsibility and none can share it. Feel the seriousness and take your first step. Any facts, figures or references stated here are made by the author & don't reflect the endorsement of iU at all times unless otherwise drafted by official staff at iU. This article was first published here on 26th July 2017.